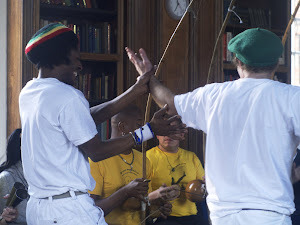 Mestre Armando places a lot of focus on fundamental elements of Capoeira. His classes will not seperate out into sections eg music, movement etc but combine all the elements together during the workshop. On Saturday and Sunday we will be serving food and snacks. On Saturday we are preparing a Feijoada (both meat and vegetarian) and on Sunday lighter foods.